An apiarist is “one who keeps bees, specifically one who cares for and raises bees for commercial or agricultural purposes. Also called a beekeeper“. Beekeeping involves a fascinating mix of animal husbandry, observation, patience, weather forecasting, woodwork and – if all goes well – extraction, bottling and consumption of delicious honey. As a hobby it requires a modest initial financial investment, a willingness to learn – and to keep on learning – and an appreciation of the annual cycle of the seasons. I keep bees in the Kingdom of Fife, Scotland … not for agricultural or commercial purposes (though I do sell some bees, queens and honey), but because beekeeping is an engrossing hobby that allows me to work outdoors, to be just a little bit self-sufficient, to indulge my interest in photography and to spend long hours making things from bits of wood during the winter. I’m particularly interested in improving the quality of my bees by queen rearing from my best stock. Other beekeepers get passionate about pollen identification, honeybee anatomy or wax production … so explaining “Beekeeping, so much more than honey“. I’m fortunate enough to have a day job that involves working with honeybees and so allows me to mix business with pleasure. I regularly talk at beekeeping conferences or association meetings on the viruses of honeybees. My research group studies the biology of deformed wing virus, the major viral pathogen of honeybees, and ways in which the virus – or the Varroa-mite that transmit the viruses – could be controlled. I also give talks about practical beekeeping, in particular on queen rearing (and have run queen-rearing practical classes) and DIY for beekeepers, the latter covering things you can make more cheaply less expensively than supplied by the major commercial suppliers, that work better than available commercially or that may not even be available to buy. For further details please drop me an email via the contact page. I started writing articles on beekeeping for my local association and posted these online. 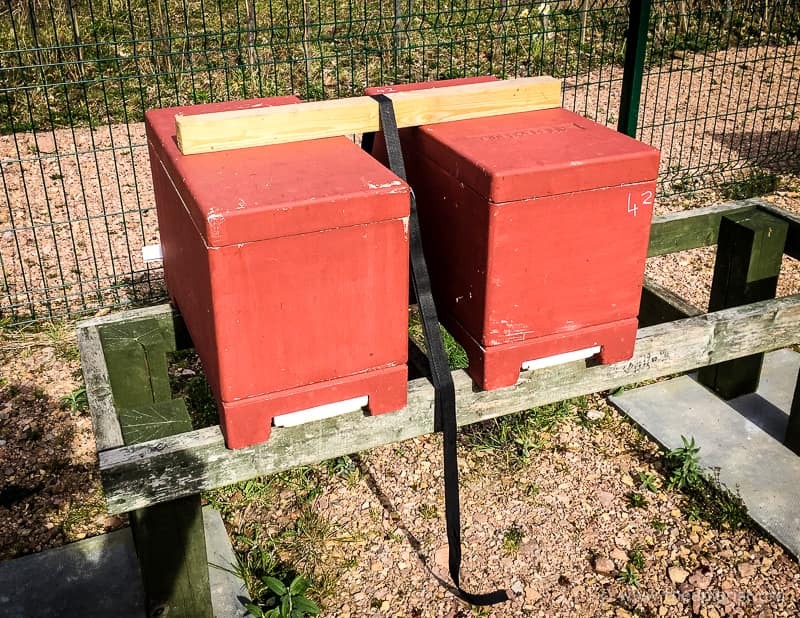 The majority of the posts are about practical beekeeping - how to make stuff, reviews, queen rearing, cooking with honey, swarm control methods etc. I try and post something about 4 times a month, but this depends on having something useful to say, work and beekeeping commitments. To receive email announcements of new posts please add your email address to the following form. You will receive a brief email with a 'Confirm Follow' button. All announcements of new posts include options to manage your subscription. Your email address will not be used for anything else. Please read the Copyright notice for further details or if you want to reproduce images or text.